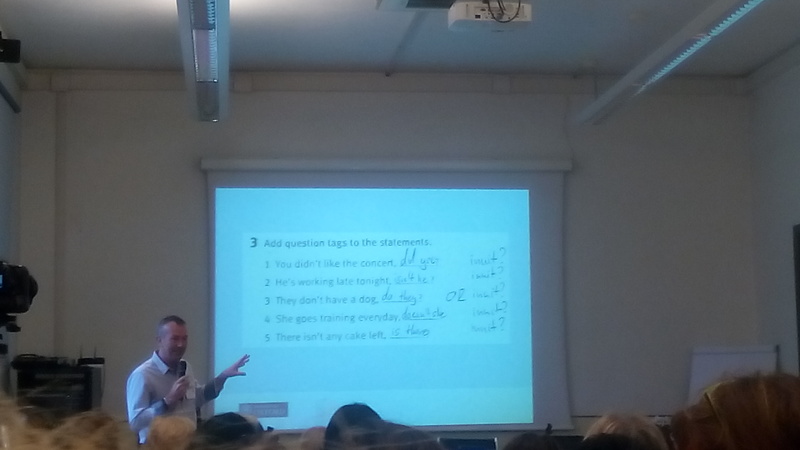 This is the second summary from the TESOL Italy 2016 talks that I saw. 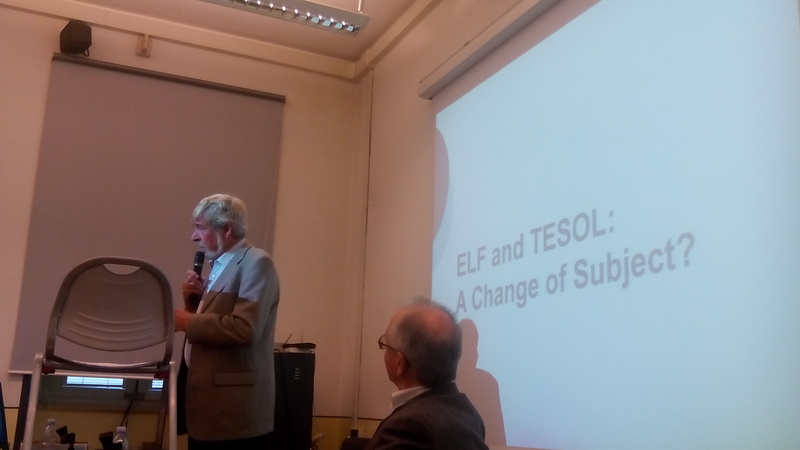 The first one was Henry Widdowson’s plenary ‘ELF and TESOL: a change of subject?’, and you can read it here. Chiara’s talk starts off with a short video. Two people are having breakfast and chatting away. A third one arrives and joins the chat. The language sounds vaguely familiar, but doesn’t seem to be making much sense. In fact, Chiara tells us after we’ve watched it that it’s made up of different lines from different song lyrics jumbled together. The two most common theories which inform how we teach listening are bottom-up and top-down processing. However, rather than choosing between one or the other, it is important we adopt a more integrated approach; that is, helping our learners develop and use both top-down and bottom-up skills. 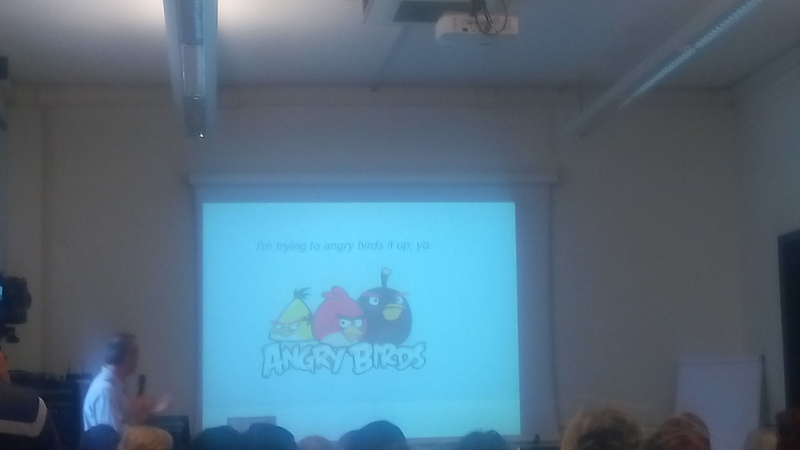 The rest of the talk is informed by a research Chiara carried out. The sample was made up of 121 Italian students of English aged 16 to 19 and 5 Italian English teachers. 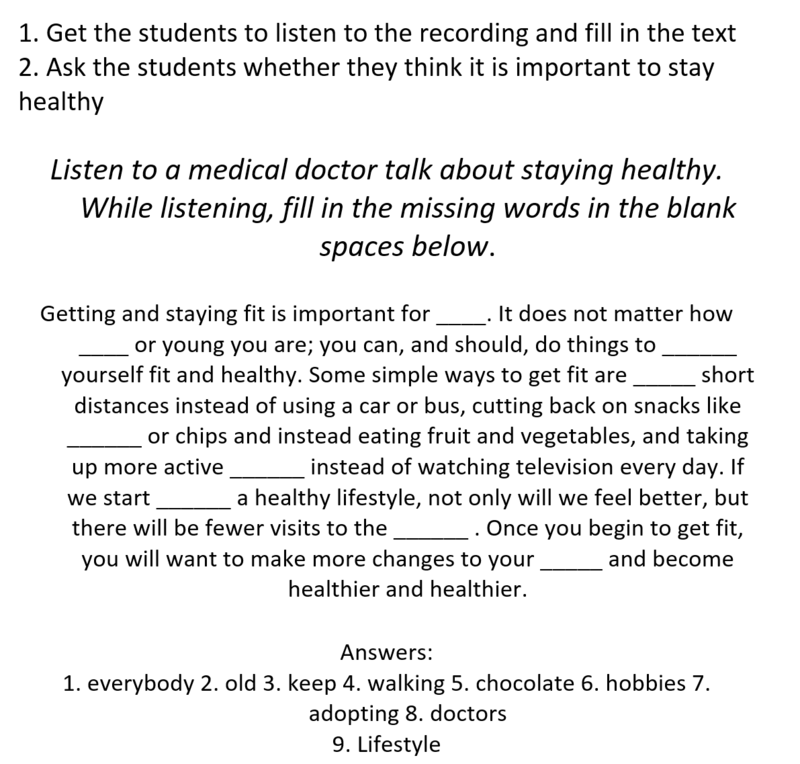 To gather data she used questionnaires, interviews with teachers and classroom observations. The research focused on the appreciation of students for listening activities, the materials and sources used in the classroom, the importance of the skill and the students’ difficulties. 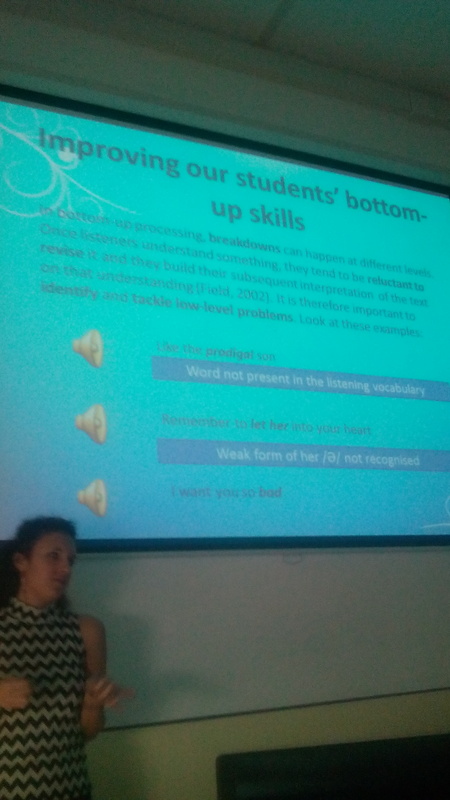 The two main findings that Chiara drew on to provide her practical suggestions were a general good level of appreciation of the students for listening skills and the problems that they highlighted. Most of them referred to perception and parsing problems as being prominent, and their teachers seemed to show a good level of awareness regarding this. So, it seems that in this particular study students are motivated, enjoy listening and see it as important. 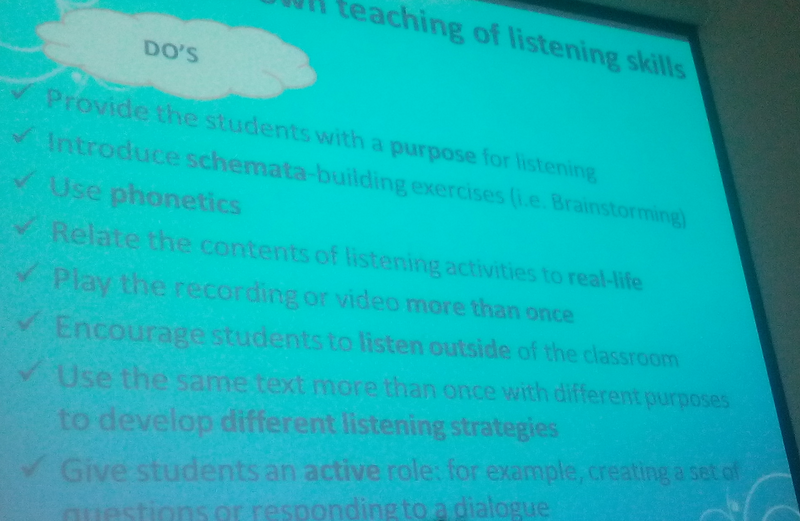 The question is then, how can we capitalise on these positive perceptions to improve students’ listening? First, we should stop just testing listening, and focus on teaching it. I wrote more about this in this post. As far as bottom-up skills go, we can for example focus on connected speech, weak forms or variations in pronunciation of individual sounds. Taking notes of content words. Paying attention to discourse markers, visuals, body language. 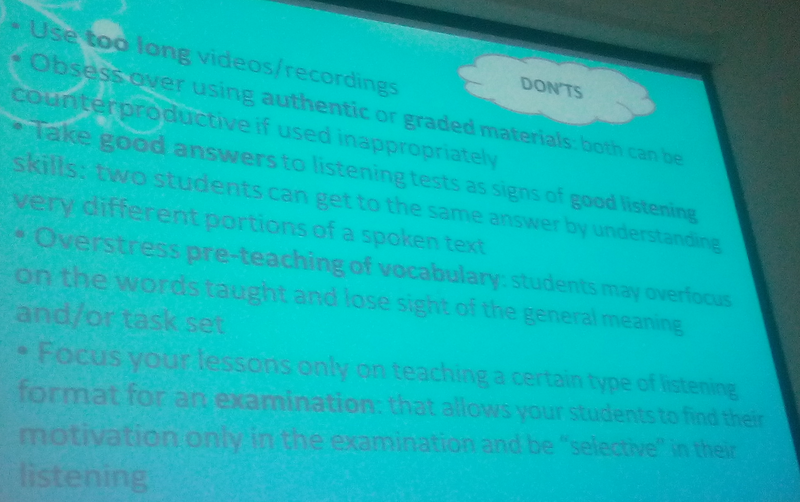 In the next part of the talk we were provided with a very useful list of listening Dos and Don’ts. Then, we had to put them into practice to assess the listening activity you can see below. What do you think is wrong with it and how could it be improved? The real deal – authentic materials or authentic tasks? 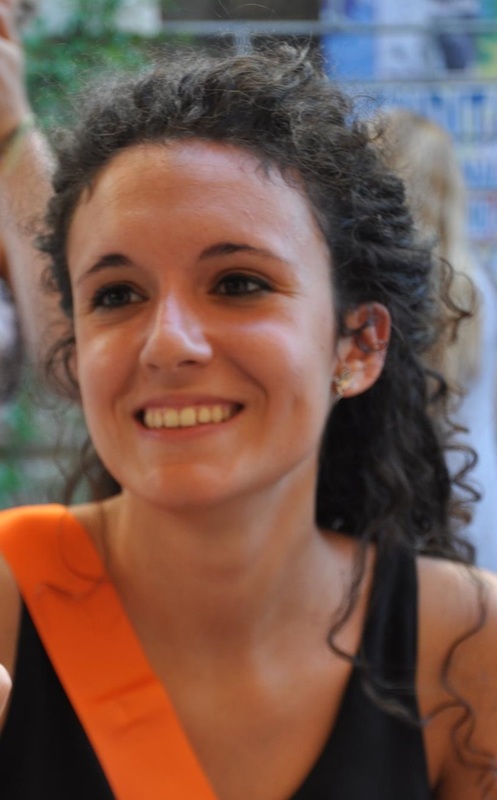 Chiara is an English teacher and translator based in Milan. She has taught English as a second language in England, Spain and Italy. She has a BA in Interpreting and Translation (University of Bologna) and an MA in TESOL and Translation Studies (Aston University, Birmingham). Her main interests in the TESOL field are pronunciation, comparative grammar, the teaching of listening skills and communicative language teaching applied to business contexts. Finally, I managed to get my act together and write another blog post. It’s been too long! But the PhD in TESOL I started recently has swallowed up what had previously been called free time. 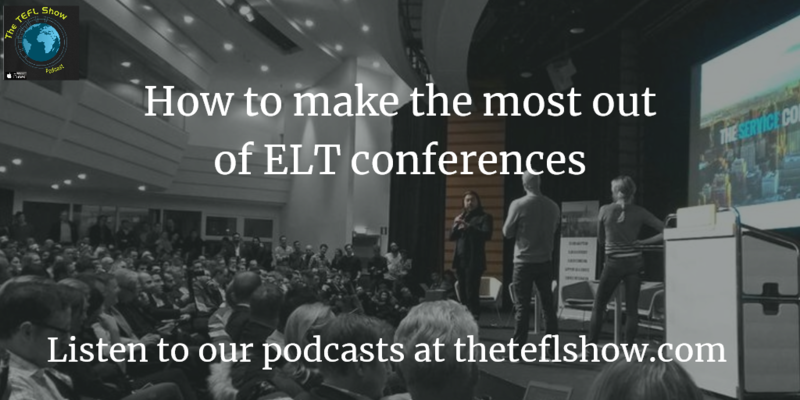 You might also have noticed a flurry of activity around The TEFL Show podcasts, which I co-author, and which you can find now on their brand new website here. 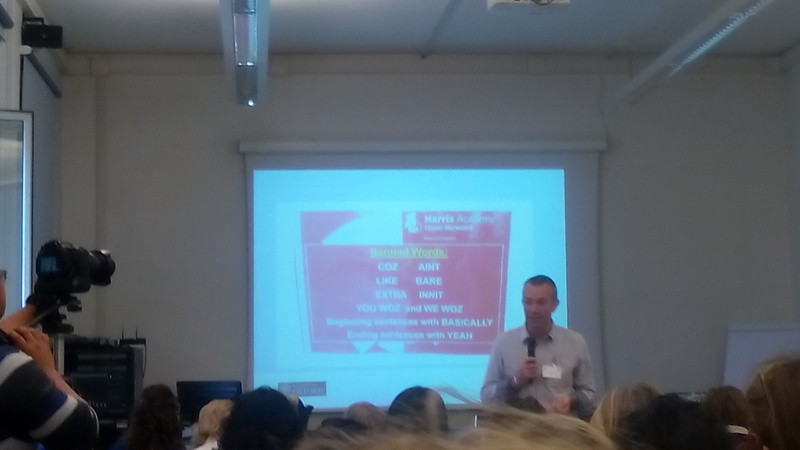 So, I was delighted when last weekend I managed to get away for a weekend to go to TESOL Italy convention in Rome. So for the next couple of posts I’ll be writing up summaries of some of the sessions I’ve seen. We’ll start it off not with the first talk, but with perhaps the one I’d been looking forward to most: Prof. Henry Widdowson’s plenary at the end of Day 1. NB: this summary has been edited following Prof. Widdowson’s suggestions and feedback. 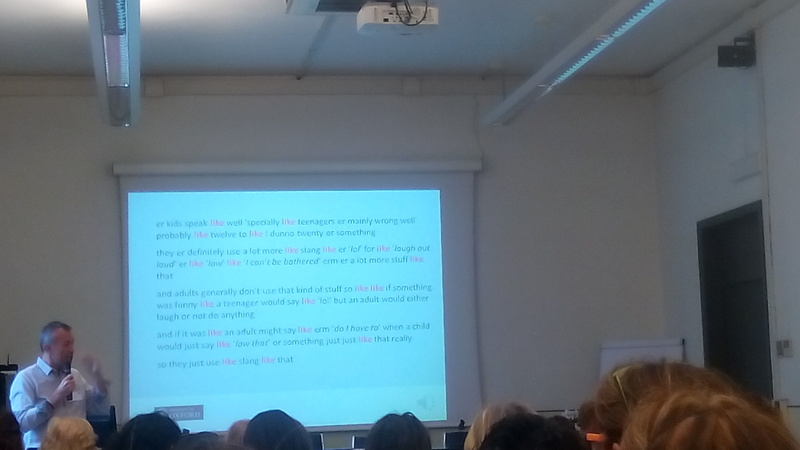 The third plenary session that I saw during TESOL Italy 2016 was given by Prof. Henry Widdowson. Having read many of his books and papers I was really looking forward to finally seeing him live giving a talk. 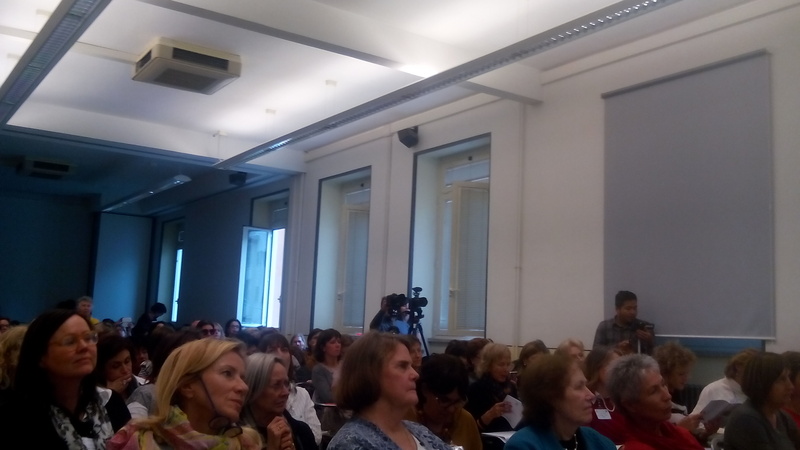 As you can see from the photo below, I wasn’t the only one looking forward to this opportunity – the room was absolutely packed (you might be able to see Barbara Seidlhofer and Diane Larsen-Freeman sitting in the first row). I actually had to ‘borrow’ a chair from the terrace area and sneak in right beside the podium to be able to see the talk. As the title suggests, the talk proposed that the Teaching of English as a Second/Foreign Language needs to undergo a paradigm shift from teaching English as a language ‘belonging’ to and ‘owned’ by Native English Speakers (NES), to teaching English as a Lingua Franca (ELF). This issue has been widely discussed recently in academic publications, and was explored in-depth in two books Defining issues in ELT by Widdowson himself and in Understanding ELF by Barbara Seidlhofer. The talk started with a historical overview of the shift away from a Structural Language Teaching (SLT) to Communicative Language Teaching (CLT) which took place in ELT starting in the late 70s and early 80s. Many might think of this change as a profound paradigm shift from a structure, grammar and correctness oriented approach to a focus on productive skills, communication and interaction. However, Prof. Widdowson points out here that in fact very little changed. The subject being taught remained essentially the same. So did the basic assumptions behind teaching. In fact, in certain basic respects we haven’t moved on at all. The (idealised) NES competence was the subject of SLT and still is that of CLT. The two approaches might seem radically different at the surface, but they’re underlying assumptions remain exactly the same. And as a result of these assumptions, learners are only labelled as successful provided they conform with the NES models. It is true that in SLT the focus of teaching was slightly different as the emphasis was placed on linguistic terms. In addition, English was thought of as radically different from students’ L1, which made it seem really difficult to learn. Students had to internalise this foreign and alien code. A lot of SLT also focused on differences in form between L1 and L2. The introduction of CLT was said to lead to a radical shift in how English was to be taught, and what aspects of it. Radical at face value only, however. For example, it is true that communicative competence, as opposed to the linguistic or structural one, started to be viewed as paramount. Communicating meaning in interactions was emphasised over ‘dry’ grammar. All of this reflected a similar change in linguistics. However, it is not true that language taught through SLT was decontextualized. SLT DID focus on meaning too. The difference was that in SLT the context was subservient to the code or the linguistic structure. On the other hand, in CLT the linguistic structure is viewed as subservient to the context. But if we examine the underlying assumptions of the subject matter (English language) to be taught and the context in which it is to be presented, it becomes clear that actually no shift had taken place. After all, it was still the (idealised) NES norms of language use which were to reign supreme and had to be abided by if a NNES was ever to be deemed a successful learner. While CLT focused on context and SLT on linguistic structure, they were both underscored by the same assumption: there was to be only one correct context or structure, of course that of a NES. And it is an orthodoxy that is still followed. The C in CLT is highly misleading, because the method is not concerned with communication per se, but rather with communication in conformity with NES norms. It seems then that CLT was not a radical shift at all, but rather a quick and somewhat superficial make over. 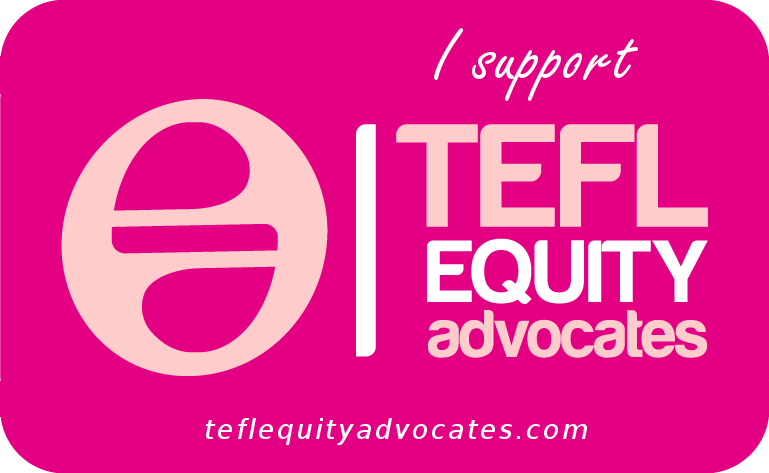 If we then examine the acronym TESOL/TEFL, it becomes self-evident that the E can only mean one thing. English of NES, that of Inner Circle speakers. So the only correct English belongs to NES, and the communicative competence so cherished by CLT is of course that of a NES too. That is, a successful learner in CLT has to conform with how English is used in communicative situations by NES. We could say then that what CLT has done is to have doubled the difficulty faced by learners: they now not only need to use English correctly, i.e. conform with the NES linguistic code; but also appropriately, i.e. conform with the NES communicative and interactional rules. For, as Prof. Widdowson put it, it was believed that “Otherwise you’re communicatively disabled”. The real radical shift in ELT might come from ELF, which aims to change the paradigm of dependence on NES norms, of viewing learners as constant failures. For what the use of ELF shows is how the resources of the language can be strategically exploited in non-conformist ways to achieve communication as appropriate to different contexts and purposes. Such non-conformist uses correspond in many ways to so-called learner ‘error’, which can also be seen as attempts to make the language being taught communicatively real and in correspondence with the learners experience of their own language. From the learning perspective, the E of TESOL/TEFL/ELT would then become the E of ELF, not the E of NES. Hence, the proposed change of subject. You might wonder, though, why we should be looking forward to the ELF shift. Hasn’t CLT been successful enough? On the superficial level, perhaps yes. However, when we look at the underlying native speakeristic assumptions behind SLT and CLT, the picture becomes much less optimistic. The first corrosive effect of relying on NES norms is that learners are doomed to failure from the very beginning. They are made to conform with communicative norms and structural rules of native- speaker English, and their performance is constantly being evaluated in terms of their inability to conform with these norms and rules. In other words, learners remain forever locked in a state of linguistic and communicative disability. Hence, as Prof. Widdowson summarised it, ELT methodologies “have amounted to a pedagogy of failure”. Perhaps we should ask ourselves why students do not conform, where the errors come from. Learners will have the pragmatic awareness from their L1 and learning will always involve transfer from L1 experience. However, there is no valid reason why it should be seen as a negative interference. Functionally, then, these errors could be seen as communicative transfer. 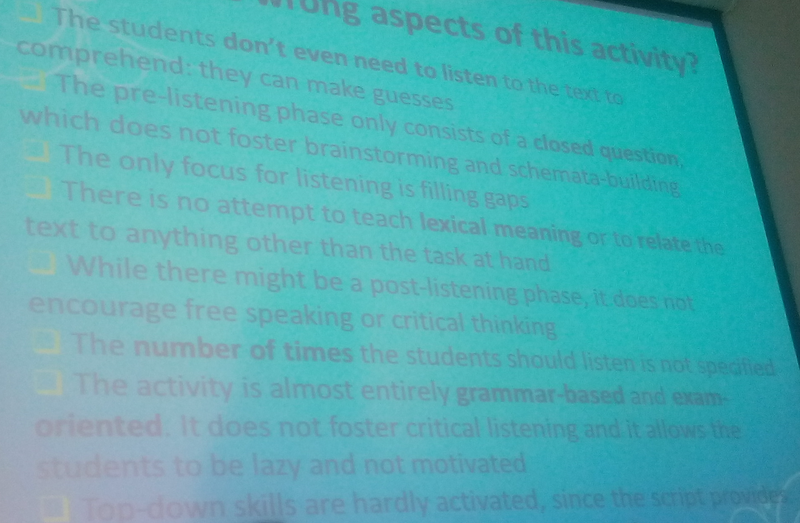 The student focuses on what is communicatively important or salient, and filters out what has little pragmatic value. Yet, teachers spend hours trying to correct these ‘errors’, to eradicate the interference which at the end of the day has little communicative importance. As a result, the natural learning of communicative capability is hindered by teacher’s insistence on conformity with the NES norm. On the other hand, ELF relates English more closely to the learners. From a foreign and alien tongue impossible to master, English becomes more familiar and real, a language that is actually learnable, that can be appropriated by the learner, made their own. ELF removes the necessity to conform with NES norms which dooms all learners to a painful and demotivating failure. It moves the focus to pragmatic and communicative capability per se, rather than the NES communicative competence of CLT. Prof. Widdowson concludes the talk by highlighting that the insistence on conformity with NES norms actually hinders the development of learner autonomy, a concept which we as teachers supposedly go into great pains to develop. After all, the student is faced with an irresolvable dilemma: practising the newly learned language outside the class (i.e. learner autonomy) will inevitably lead to making errors, and hence failure. What this creates is that just as employers have employees, teachers have teachees, who must conform with the rules set by the teacher, and are not allowed to experiment with the new language. However, students should be allowed to develop communicatively. We need to cease to judge learners success or failure in view of the errors they make. Instead of this ‘pedagogy of failure’, ELF focuses on the positive, on the “development of the potential to use English” ie of a communicative capability. As teachers, we need to change how we think of English as a subject. Why teach a competence that so few learners can achieve? Why not instead teach a more realistic model. Set realistic objectives, which reflect learning, not failure. Objectives which are achievable. If we continue with the pedagogy of the NES ideal, we teach learners to fail. We stigmatise them as incompetent, forever communicatively disabled. However, if we accept the reality of the English language, which is no longer the sum of NES norms, the purpose of teaching becomes the development of students’ capability to use English with whichever linguistic resources at hand, whether conforming to NES norms or not. Henry Widdowson is an authority in the field of applied linguistics and language teaching, specifically English language learning and teaching. Widdowson is perhaps best known for his contribution to communicative language teaching. However, he has also published on other related subjects such as discourse analysis and critical discourse analysis, the global spread of English, English for Special Purposes and stylistics. The Routledge Encyclopedia of Language Teaching and Learning calls him “probably the most influential philosopher of the late twentieth century for international ESOL” (674). Widdowson is Emeritus Professor of Education, University of London, and has also been Professor of Applied Linguistics at the University of Essex and Professor of English Linguistics at the University of Vienna. He is the Applied Linguistics adviser to Oxford University Press and series adviser of Oxford Bookworms Collection. Widdowson is co-editor of Language Teaching: A Scheme for Teacher Education. He is the series editor of Oxford Introductions to Language Study and the author of Linguistics (1996) in the same series. He has also published Defining Issues in English Language Teaching (2002), and Practical Stylistics: An Approach to Poetry (1992). His most recent book is Text, Context, Pretext. Critical Issues in Discourse Analysis (2004), published by Blackwell’s (from: https://en.wikipedia.org/wiki/Henry_Widdowson).